With Earth about to explode, the Z Fighters form a plan to evacuate every living creature to the new Planet Vegeta. Goku fights Cell and Frieza in hell. Back on Earth, Majuub, Trunks, and Goten fight a group of saibamen, Gohan fights General Rilldo, and Vegeta fights Android 17. How many episodes of Dragon Ball GT have you seen? 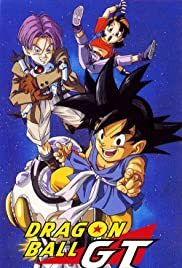 Dragon Ball tells the tale of a young warrior by the name of Son Goku, a young peculiar boy with a tail who embarks on a quest to become stronger and learns of the Dragon Balls, when, once all 7 are gathered, grant any wish of choice. An HD and enhanced remaster of Dragon Ball Z. The universe is thrown into dimensional chaos as the dead come back to life. Now Goku and Vegeta must track down the cause of this uproar. A group of aliens visit Earth to plant the Tree of Might, a plant that grants cosmic power by draining the Earth's life force. Gohan: [possessed by Baby] No matter how much a monkey evolves, it's still a monkey. 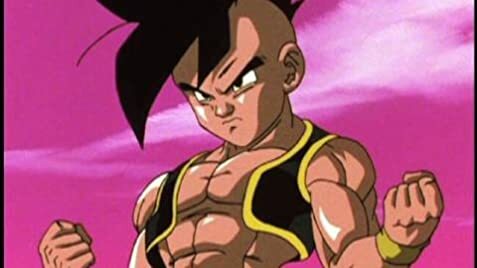 I feel like I am the only person that sees how incredibly pathethic weak they made the characters in GT. I'm not sure if you have forgotten how powerful people were in DBZ, example in freezia saga they were able to make nuclear type blasts just by lifting a finger. In DBZ they would move at like 5000mph and punch each other with force that makes the earth crumble around them. DBGT IS PATHETIC! They are supposed to be super powerful SS4 or whatever, but the explosions and speed was far to little to even be slightly believable. Some times it looks like they move at 10mph and when they punch, no effect to the ground around them, just a simple very slow weak looking punch with no effect to anything. Its a freaking SS4, when a punch makes contact it should make a huge shockwave and make the ground crumble. The biggest blasts in GT were nothing compared to DBZ's. People need to stop basing how powerful guys are by how powerful they saythey are, and how powerful they ACTUALLY are animated as. In the freezia vs guku, they were by far animated strongest. SS3 was animated too weak in DBZ, it actually felt at times more of a downgrade in speed and power than an upgrade. 34 of 73 people found this review helpful. Was this review helpful to you?